I really think my mom was supermom. Granted, I didn’t think that when I was growing up….but now that I have become a mom myself, I am able to look back and realize just how hard she worked for our family. I feel fairly confident when I say that many of you are supermoms as well. You wake up early, spend all day serving your family, and go to bed late worrying about your kids. My goal is to be supermom! I fail about everyday, but I continue to try! One of the many “supermom” traits from my mom was her willingness to make us a hot breakfast every single morning before school. I knew that when I walked upstairs after getting dressed the table would be set, and a fresh warm breakfast would be served. I TRY to do the same with my kids….but I REALLY struggle some mornings to find the energy and motivation. 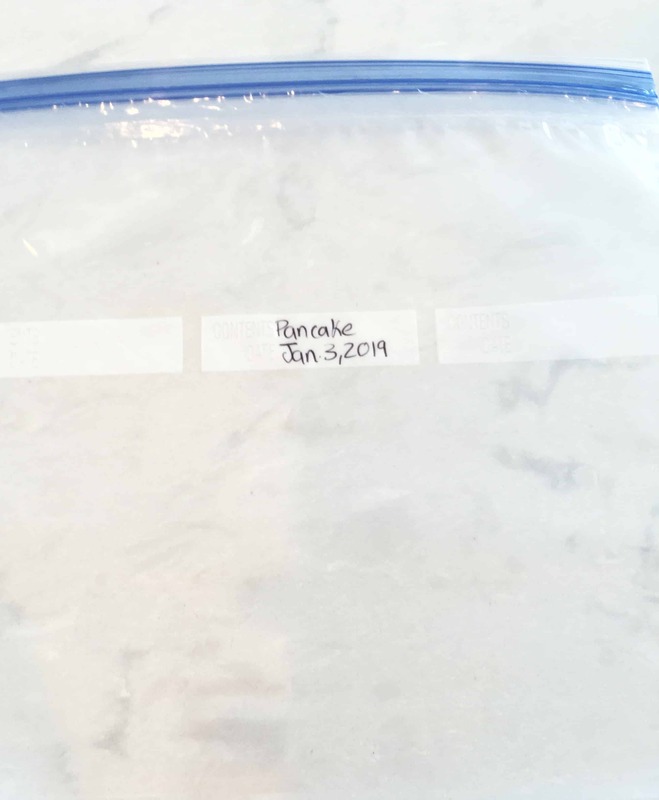 I’ve recently started batch cooking many breakfast items and stocking up my freezer for quick breakfasts for my kids before they head out the door for school. Making large batches of pancakes not only saves me time in the morning…it is also a VERY frugal breakfast! 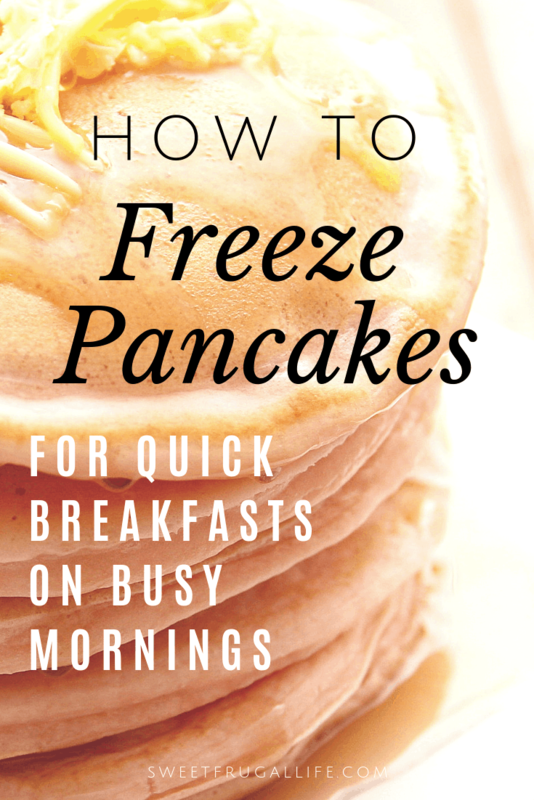 You can spend 30 minutes one afternoon each week making a large batch of pancakes for the freezer, or the next time you make pancakes for breakfast simply double the batch and freeze the extras! Here’s how! 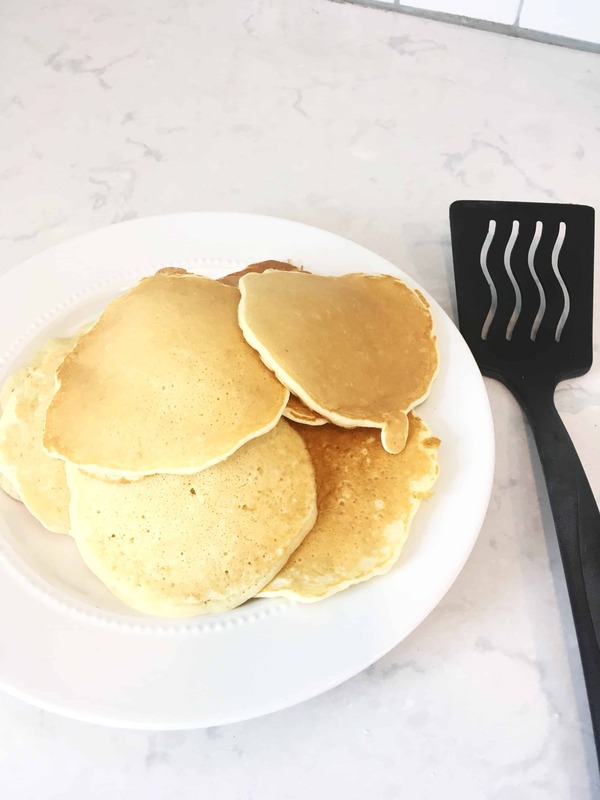 Make your pancakes following your favorite pancake recipe. You can find my fave recipe here! Let them cool completely. 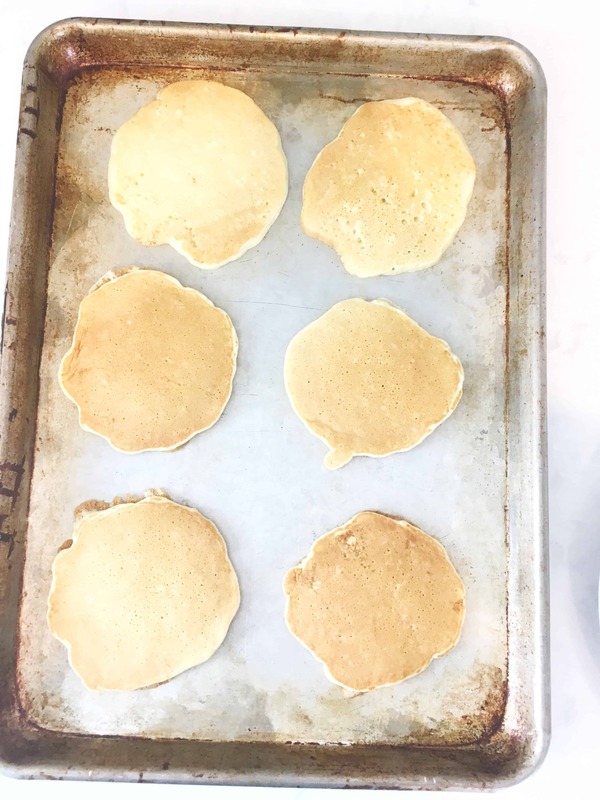 Place pancakes on a cookie sheet in a single layer making sure the sides aren’t touching. 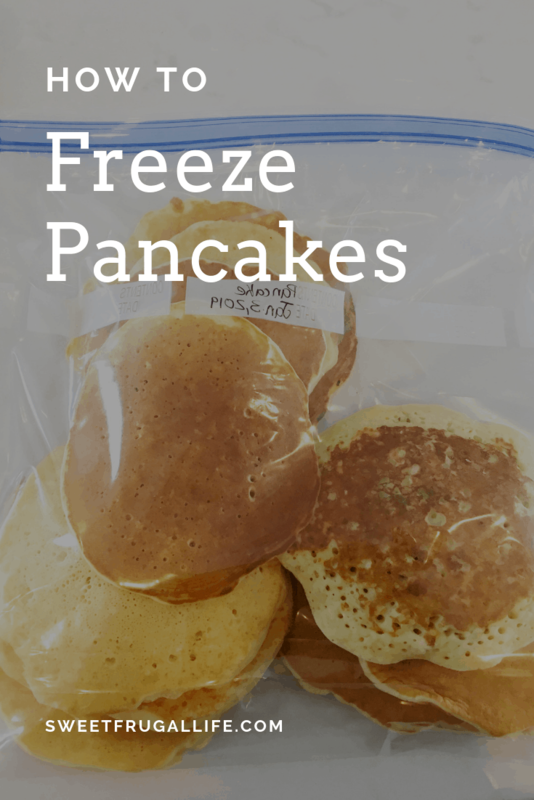 While the pancakes are in the freezer you can prepare your freezer bags. All this takes is writing what “pancakes” and the date on the bag. Put the cookie sheets in the freezer for 30 minutes. 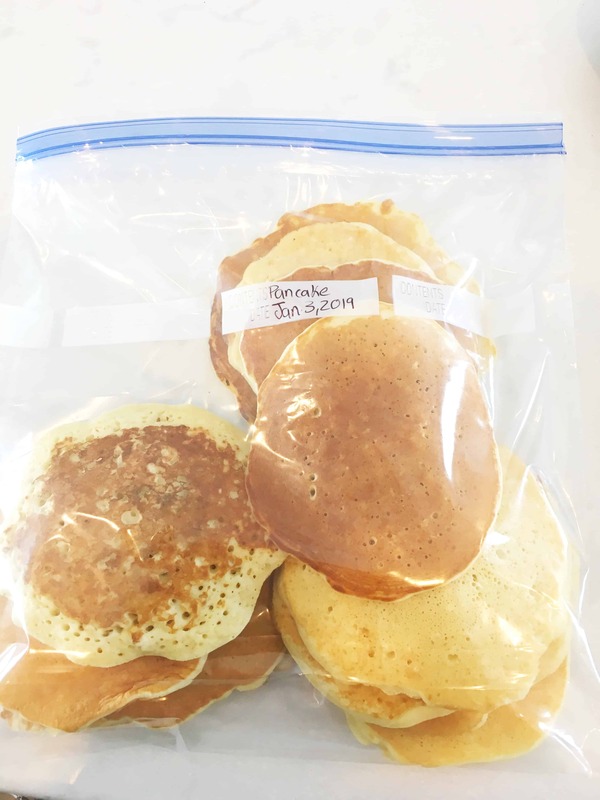 Once frozen take the pancakes off of the cookie sheets and place them all in your freezer bag. It can be full as large as you need to. Because you pre-froze them, they should be easy to break apart when you need to use them. Stick the bag of pancakes in the freezer and you are done! Yay! Easy peasy! When you are ready to use the pancakes, simply take out the number of pancakes you need and microwave them until they are warm. I usually microwave them for about a minute. These are also easy for the kids to get out of the freezer themselves! If I’m busy getting ready in the morning I sometimes tell my oldest to get out a few pancakes for all of the kids. You might be interested in my other INCREDIBLY easy and frugal breakfast recipe: Quick and Easy Overnight Oatmeal.